Follow @MMADAYdotCOMfor reminder tweets & new calendar additions. for MMA news, pictures & more videos. Preliminary bouts start at 5:00PM EST (GMT -4H) on FOX Sports 1. 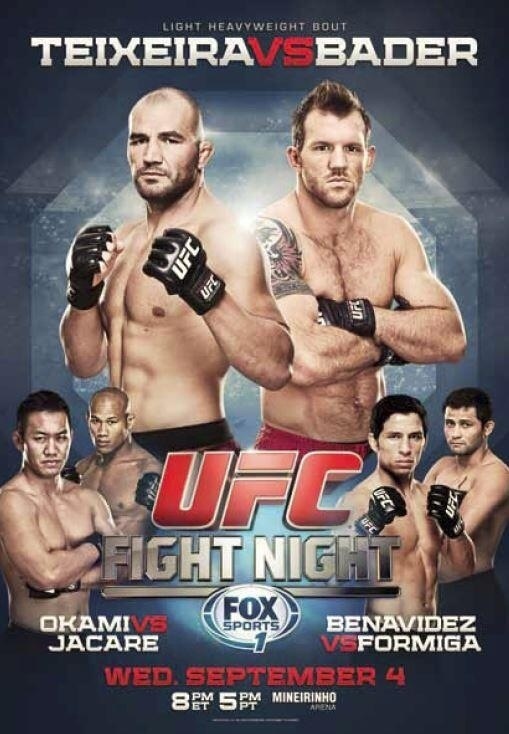 Main Card starts 7PM EST (GMT -4H) on FOX Sports 1. We going going back back to Brasil Brasil. Copyright 2013 MMADAY.com. All Rights Reserved. Built from blood, sweat & tears.